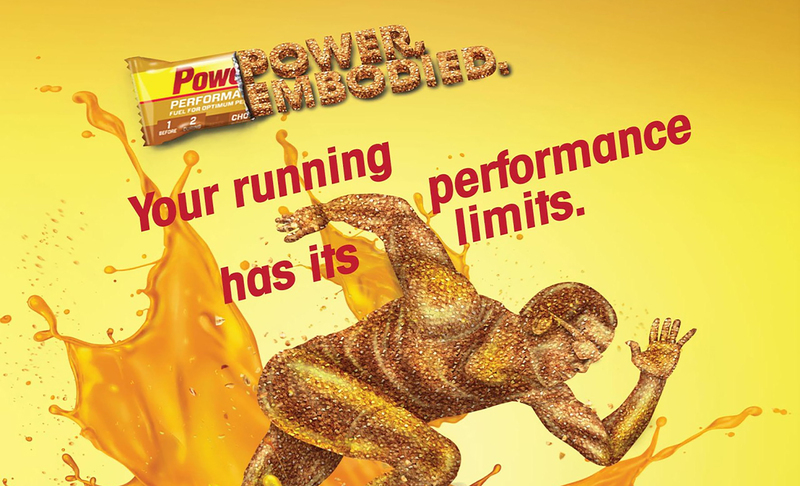 PowerBar, Inc. is an American maker of energy bars and products such as sports drinks and gels. 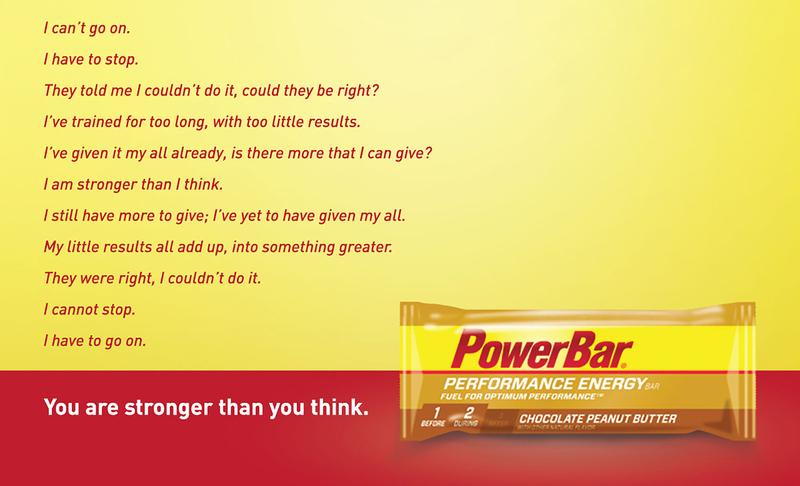 Despite its presence in the American market, Power Bar barely had any recognition as a brand in Singapore. Their products were only being sold and distributed through pharmaceutical companies, gyms, bike-cycling events, marathons and triathlons. 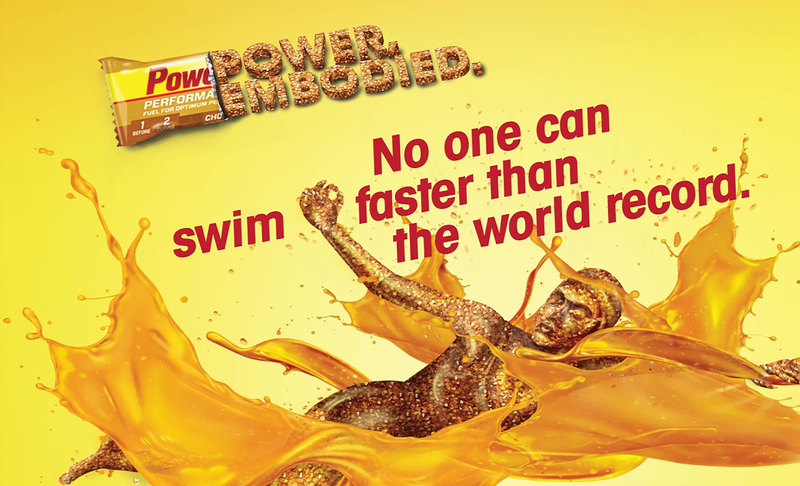 Power Bar did not manage to properly engage with consumers in Singapore in terms of branding or advertising. Due to the lack of advertising or brand communications, there was no meaning attributed to Power Bar’s products besides the mere functionalities. 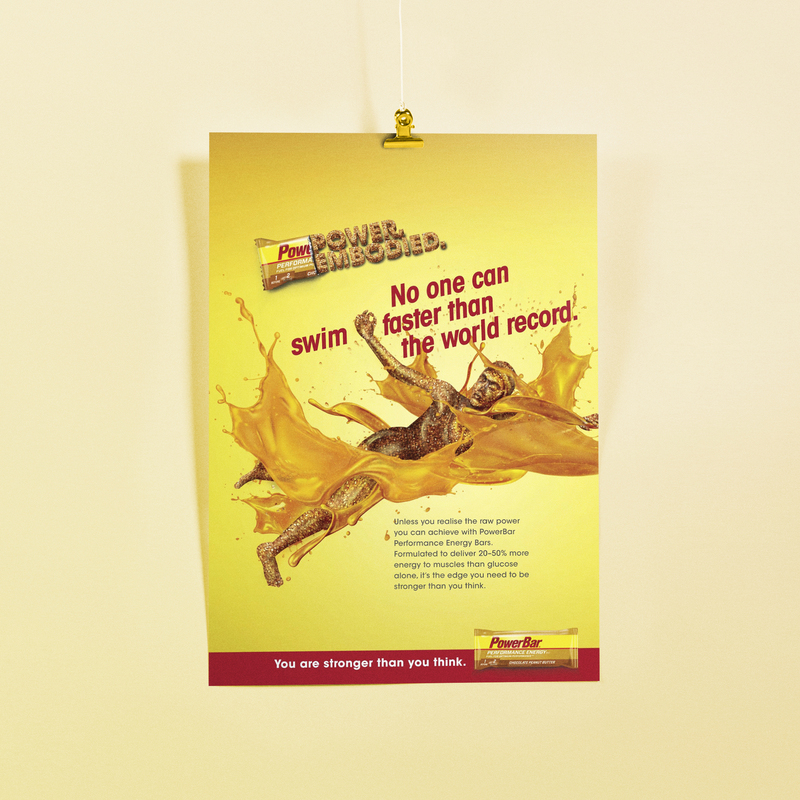 As Power Bar had three types of products targeting different market segments, thus Adwright designed three posters that specifically targeted the three types of audiences – swimmers, cyclists and track athletes. 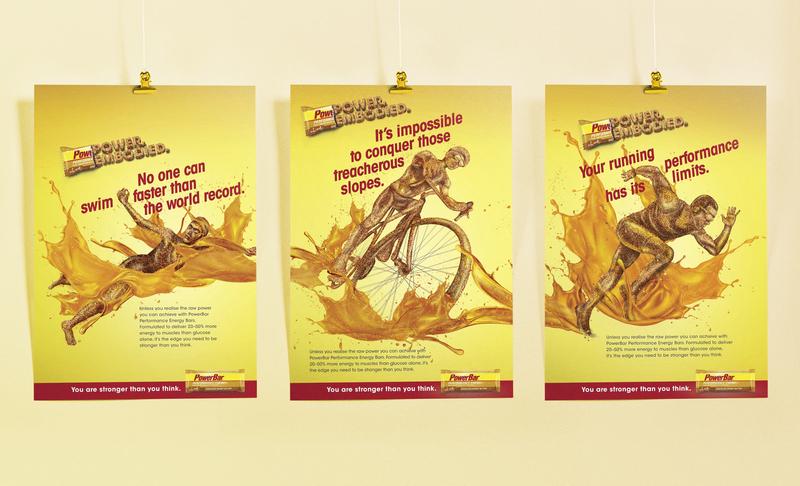 The visuals were accompanied with an overarching concept and copy that would resonate with sportsmen. 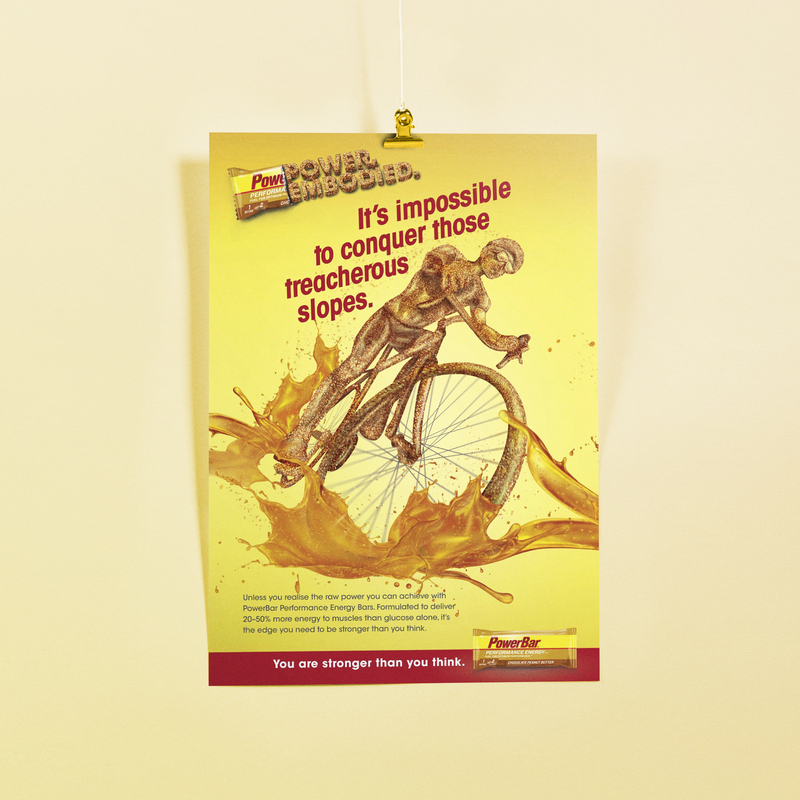 With the tagline “you are stronger than you think”, the idea of belief in one’s potential and persistence in improvement created meaning for the product – one that consumers would be able to relate to. After Adwright’s efforts, the products were revitalised with a clear purpose and properly communicated to consumers through advertisements. 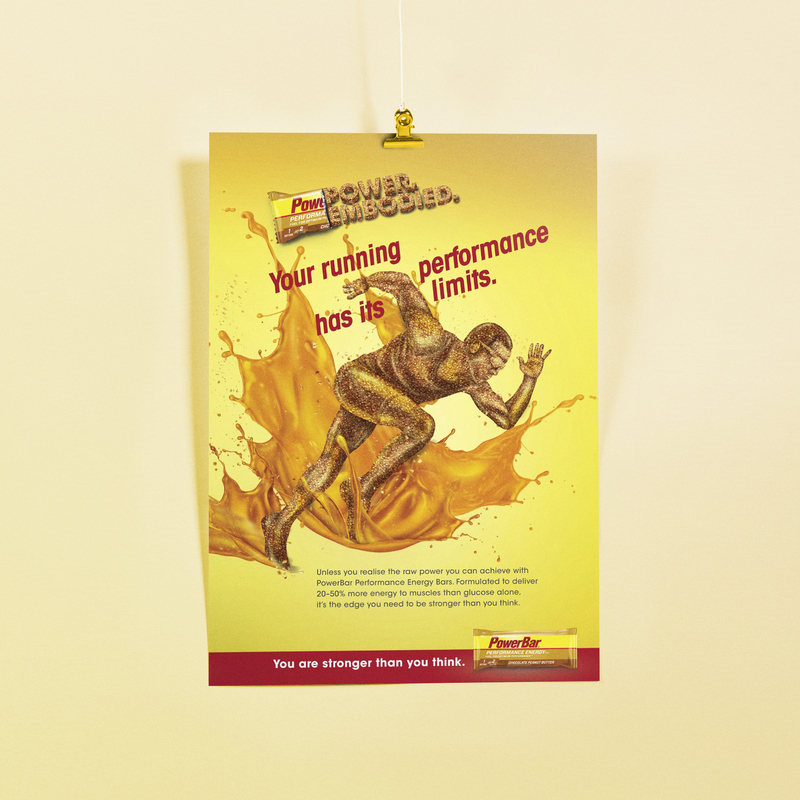 The newly created conceptual associations ensured that consumers would remember when and why they should use Power Bar’s products.